Do you have bugs in the garden? Be proactive and stock up on Sevin Dust. Sevin 5% Dust is designed to kill more than 65 types of insects, including Japanese beetles, Army worms, Leafhoppers, Webworms, Fleas, Spiders, and Earwigs. This product is for use on vegetables, fruit, ornamental shrubs or flowers, and even lawns. When applying, work backward to avoid over-application, and wear rubber gloves for safety. Standley Feed and Seed offers Sevin Dust in a convenient 3 pack. 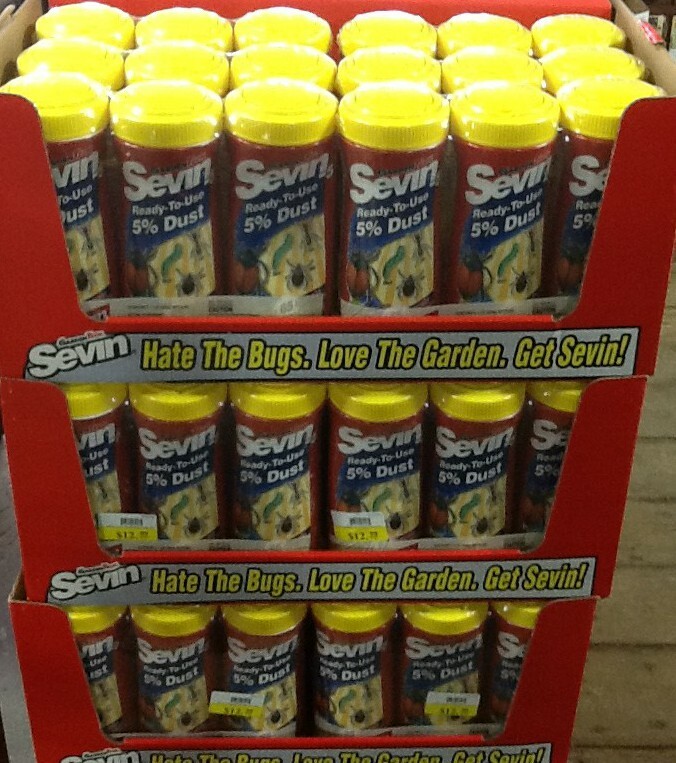 Come by today for Sevin Dust and keep bugs from damaging your garden or yard. For all your garden needs, stop in our Garden Center to speak with our on-site experts. This entry was posted on Wednesday, February 17th, 2016 at 9:04 pm	and is filed under News & Updates. You can follow any responses to this entry through the RSS 2.0 feed. Both comments and pings are currently closed.